"During the Proof of Concept we immediately saw an energy cost reduction of up to 40% at one site. On average, we achieved a saving of 29% across all 200 sites that participated in the trial." 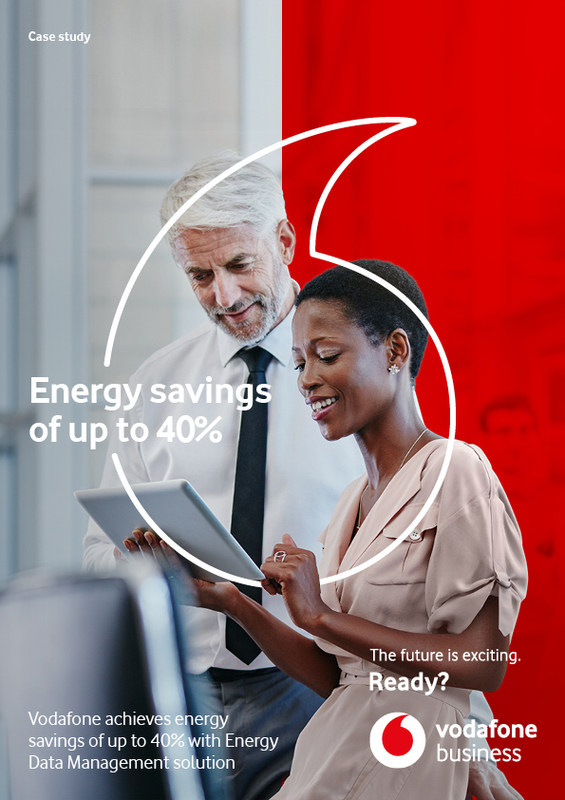 Faced with rising global energy costs, and determined to fulfil its obligation to minimise its carbon footprint, Vodafone decided it needed a solution that would manage the way it consumes energy more proactively. To get the intelligence and global scale that it needed, Vodafone soon discovered it would need to build the solution itself. Vodafone Energy Data Management is comprised mainly of data logging devices that sit alongside the main load meter that utilities use to determine overall building consumption. The data is gather together securely through Vodafone’s global wireless M2M network to an online portal. This easy to use online dashboard enables managers to monitor consumption and make decisions based on rich intelligence. Overall, EDM is driving Vodafone towards more long-term sustainable use of energy with lower carbon emissions — helping it to reduce its impact on the environment and hit government regulation target.